These are the frequently asked questions about the technical aspects of floor coverings and fittings. View our green certifications on our Creating Better Environments page. In new constructions, the subfloor must have reached the required level of dryness before the floor covering installation can proceed. The moisture content of the subfloor must be tested with a hygrometer. The relative humidity (RH) should be below 75% RH. If the reading is above this level, the floor will be considered unsuitable for a resilient floor covering so other appropriate measures will need to be considered e.g. the application of a surface damp proof membrane (DPM). In older constructions, the floor slab must have an effective structural damp proof membrane. If it does not or if there is any doubt a surface damp proof membrane should be applied. Do I need, or how often should I install, expansion joints in my floor? Do I need, or how often ahould I install, expansion joints in my floor? Expansion joints in floor covering installations are required where structural movement joints are present in the subfloor. Structural movement joints should not be bridged by any part of the flooring installation, and should be treated with a suitable surface mounted cover strip or proprietary expansion joint profile. Can I fit your product directly over my existing subfloor? This will depend on the subfloor type and its condition. Advice on suitable subfloors and how they should be prepared can be found in BS8203 for resilient floor covering, BS5325 for textiles and/or Forbo Flooring installation guidance. Can you confirm that your product is suitable against possible spillages of chemicals? 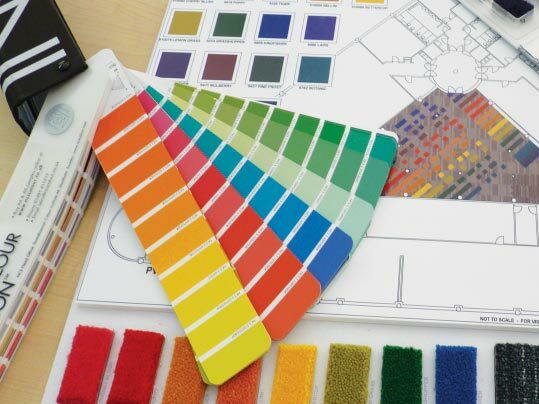 Both Forbo Marmoleum and Vinyl products are subject to indicative chemical/stain testing in accordance with European standards. Copies of test results are available on request. The tests provide baseline information on the effects of short term exposure to chemicals after cleaning and should be used as a comparative guide. If specific chemicals are of particular concern we would advise that the effects are checked by the client on a sample of the proposed colour and material in conditions representative of those that will be experienced in service. Can you advise the thermal conductivity of your Forbo products? Can you advise the conductivity of your Forbo products? The thermal conductivity value for Forbo Flooring products can be viewed on the individual product Technical Specification. Alternatively, find the thermal conductivity on the reverse of the sample books, or in the product brochures. 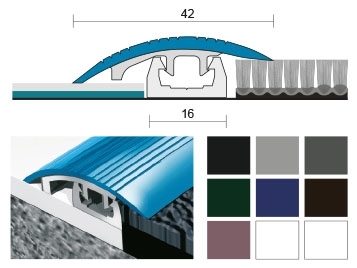 Do Forbo have transition strips and profiles for use with your products? Forbo can supply a range of skirtings and coving profiles specifically designed for use with selected resilient product ranges. Is it possible to improve the impact sound reduction above that of your product specification sheet? Acoustic underlays such as Corkment and Vinylbase acoustic are available to increase the impact sound reduction performance of our standard linoleum and vinyl floor coverings. If a single stick product with enhanced acoustic performance is required Marmoleum decibel, Sarlon and Surestep wood decibel are available. Forbo carpet tiles are available with a Softbac which offers improved impact sound reduction properties and an extended wear life warranty. What is the NCS rating system? NCS describes the colour of any material. With numeric colour codes, known as colour notations, such as 'NCS S 1080-Y70R', any colour can be described precisely. An NCS Notation is constructed using three properties that visually describe a colour; hue and nuance (blackness and chromaticness). Hue - how similar colour is to the elementary colours yellow, red, blue and green in the NCS Circle. Nuance - determined by the blackness or chromaticness (blackness - how dark, chromaticness - how chromatically strong the colour is). 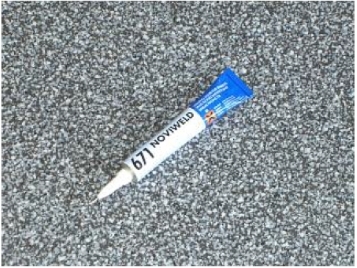 What is the coverage for a tube of Noviweld cold weld seam sealer? The coverage per tube is approx. 25 linear metres depending on application method. For more information, please check out our Noviweld 647 cold weld sealer installation guidance here.